French wine makers may be "selling like crazy" to Britain as their clients stock up ahead of Brexit, but they say the country's looming departure from the European Union promises nothing but problems. A no-deal Brexit for the UK, the second-largest importer of French wines and spirits, could disrupt wine exports through long border delays, import taxes, decreased British demand and increased competition from non-EU markets. "Transportation of wine, in the case there's no agreement after March 29, could be very difficult," said Gavin Quinney, who runs a vineyard near Bordeaux. Quinney bottled all of his wine six weeks early this year to ship six months' worth of stock to the UK before the Brexit deadline. "We're trying to send as much wine as possible to England," he said. The introduction of new taxes on imports, as well as the likelihood of an economic slowdown in the UK following a no-deal Brexit, are also concerns. "The effect on currency is more important than England's exit," said Jeremy Cukierman, director of Kedge Wine and Spirits Academy in Bordeaux. "If there is no agreement, the pound will certainly depreciate, and our wines will be less competitive." Another worry is the risk the UK will negotiate more favourable trade agreements with other wine-producing nations, such as Australia, South Africa, Chile and Argentina, at the expense of European exporters. "The British like wine and they're not going to stop drinking it overnight, but with Brexit happening, they might make substitutions regarding where they buy it," said Pau Roca, the managing director of the International Organisation of Vine and Wine (OIV), to AFP. Although the UK is supposed to leave the European Union on March 29, the terms of the historic divorce are still unclear. The overwhelming rejection of Prime Minister Theresa May's draft withdrawal agreement on January 15 has heightened anxieties. "We're 43 days away from the fateful date, and we still don't know what will happen," said Philippe Casteja, CEO of Borie-Manoux, which owns more than 10 estates in the Bordeaux region, home to some of the most coveted wines in the world. The United Kingdom is the second largest importer of French wines and spirits, behind the United States, having imported €1.3 billion of alcohol from France in 2018, according to figures released Wednesday by the Federation of Wine and Spirit Exporters of France. But pre-Brexit numbers are already disconcerting to some distributors. The total value of imports fell by 0.6 per cent in 2018 compared with 2017, and the overall volume of imports dropped 7.2 per cent for wine and 23.7 per cent for spirits. There is also concern among winemakers from other European countries, such as Italy and Spain, which along with France make up the three leading producers of wine and spirits in the world. "With 27 per cent of our sales in Great Britain, it's very important for us to continue to work with this country," said Nazareno Vicenzi, head of the Consortium Delle Venezie, which promotes the export of wines from a region in northeast Italy, particularly the well-known Pinot Grigio. Despite the uncertainty, Bordeaux winemakers are hopeful Brexit won't sever a deep-rooted relationship with British importers, which dates back to the mid-12th century, when Bordeaux became an English territory following the marriage of Eleanor of Aquitaine and Henry II. 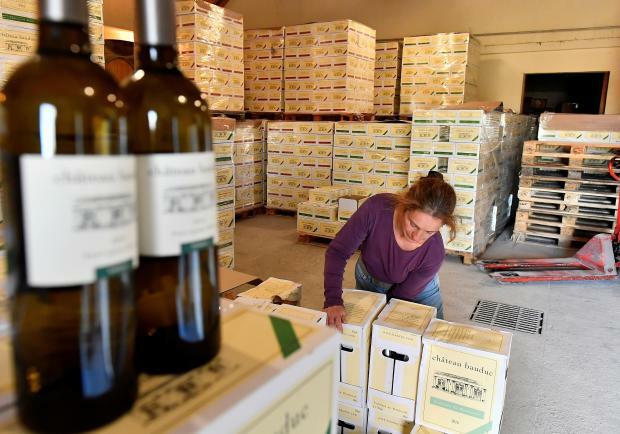 "The English are pragmatic, unemotional and the kings of business," said Benoit Calvet, a wine merchant in Bordeaux who is optimistic but still plans to send six months of stock to warehouses in the UK to avoid shortages. "It will be a little uncomfortable at first, but when it comes to business, England will remain an essential trading partner." The spectre of Brexit has not upset European wine markets uniformly. "We sold like crazy in Great Britain at the end of 2018 and beginning of 2019," said Franco Cristoforietti, president of the Verona Region Wine Consortium in Italy. Exports of prosecco, an Italian sparkling wine, rose in 2018 and surpassed 100 million bottles for the first time, according to the Prosecco Consortium. In a nod to its enduring relationship with British consumers, the Federation of Wine and Spirit Exporters of France served Pol Roger champagne after its annual press conference in Paris on Wednesday. "Churchill's favourite," said Nicolas Ozanam, managing director of the federation.